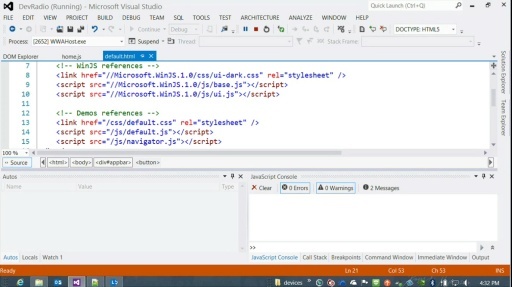 Learn how to build an ASP.NET 5 site without using Visual Studio 2015. Starting with nothing but the command line and a decent text editor, content created is fairly equal to the Empty starter template in Visual Studio 2015. Tools mentioned in video are below. The Universal Windows Platform introduces new mechanisms to allow applications to run while not in the foreground. 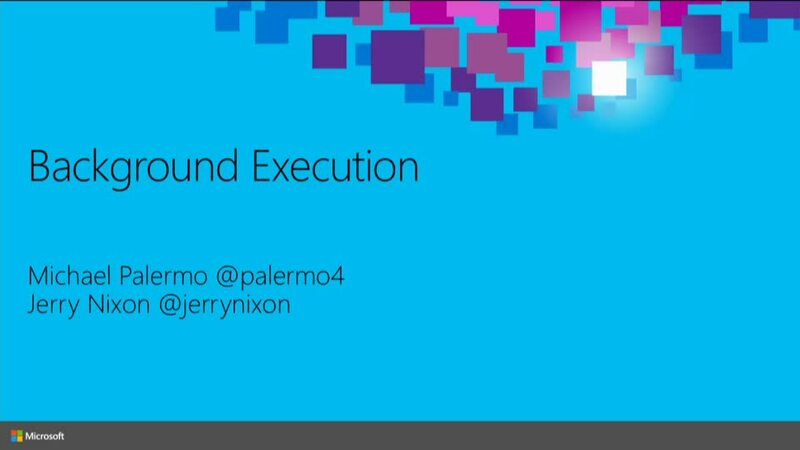 As well as Background Tasks and Triggers, UWP adds the ability for applications to extended their execution time in the background. 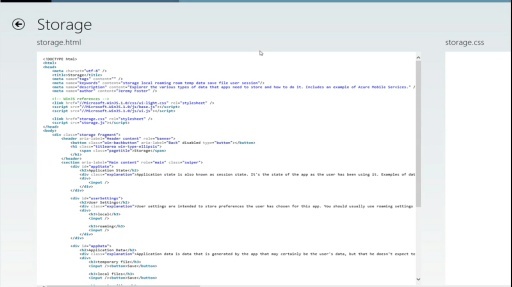 Learn how to use these new features and how new resource policies affect how and when your application runs in the background. How Did Kevin Ashley Make $100K? 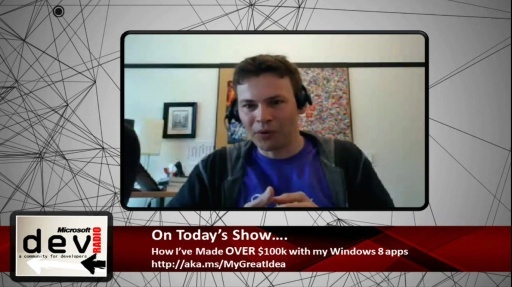 Michael Palermo welcomes Kevin Ashley to the show as they discuss how Kevin has made over $100k on his Windows 8 apps. Tune in as they discuss some tips and tricks for how you can improve your app revenue like how to properly price your app and various monetization options that are available to you such as in-app purchase, pay-per download and advertising. [1:38] How much have you made so far? [5:21] Did Microsoft pay you to do this? [6:35] What contributed to your success? [8:31] Any tips for improving app revenue? [18:43] Unfair advantage from Microsoft? [21:45] What do you think makes a great app? Michael Palermo and Jeremy Foster are back again to demonstrate how to use media capture via codeSHOW. 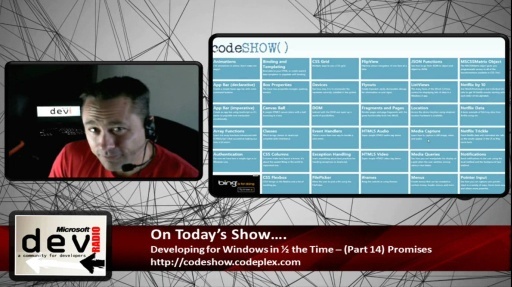 Michael Palermo and Jeremy Foster discuss the role of promises and demonstrate via codeSHOW. In this episode, Michael Palermo welcomes fellow evangelist Jeremy Foster to the show to discuss storage options for Windows Store apps. Check out codeSHOW featured in this episode! 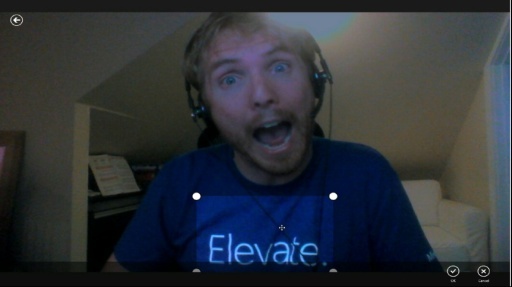 In this episode, Michael Palermo shows how easy it is to add an application bar to your app!